Achieve a flawless base with the Real Techniques Miracle Complexion Sponge. Created by Youtube makeup artists Sam and Nic Chapman, the 3-in-1 makeup blender features three distinct surfaces that enable you to optimise and tailor your makeup application. The rounded sides effortlessly blend large areas of the face with a 'stippling' action, whilst the precision tip perfectly conceals blemishes and targets smaller areas. The flat edge can be used to professionally blend foundation and concealer in the contours around the eyes and nose for a bright, highlighted base. Ideal for powder, cream and liquid makeup products. Achieve high performance results with a professionally smooth, blended finish. The sponge is latex-free. I love the Real Techniques miracle complexion sponge - it applies foundation evenly across the skin and really helps to blend! I'll never go back to using a brush! 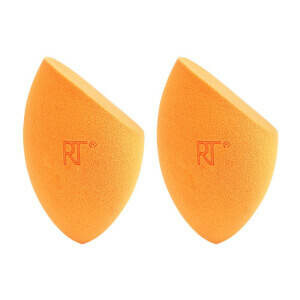 My all time fave beauty blender! 👼🏼. Application is easy and it’s so convenient to pop in your make up bag if your concealer needs a lil top up throughout the day. Easy to use, the result is great and good value for money. This is a good buy. Recommended. I always order from look fantastic, the delivery is always efficient and the product is always packaged to a high standard. I’ve been using the beauty blender for a while now and it’s the perfect sponge to use when blending foundation and blending concealer. My face always looks flawless. Have been swapping between this and beauty blender for over a week. I was desperate for beauty blender to live up to the hype (after watching many you tube tutorials) but I honesty have to say that I prefer the real techniques Beaty sponge- brilliant! I love it! I never thought that i can blend my foundation with sponge so easy. 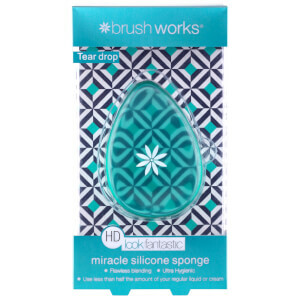 I loved my RT face expert brush, but now i am changing it to this sponge! There is simply nothing that works as well for applying my foundation and concealer. This works well dry, but I tend to use this dampened for a perfectly dewy finish. Great price compared to some other similar makeup sponges. Great makeup sponge for nice price. Blends makeup nicely for flawless finnish. Great for foundation, concealer and applying loose powder for setting makeup. This has been my go to makeup up sponge for few years already.